The summer sun starves most of the vegetation and renders an ochre tone to country lands; the water content of wells and ponds also recedes and impose a big threat to all the creatures. Searing whips of winds with dust, order all living beings to take shelter in their abodes. As summers conclude, the day of a villager starts with gazing at sky, in search for patches of clouds. When the harvest season is already over, the man of the household indulges himself in the crucial task of repairing house roofs, before the arrival of first rains. Every now and then he calls his wife, who is standing inside the house, observing the beams of light sifting through the gaps in the roof. 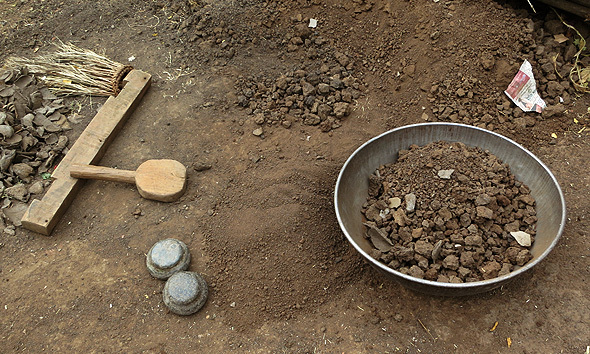 She informs him about the location of those gaps, as the man arranges the freshly baked clay tiles on the roof. 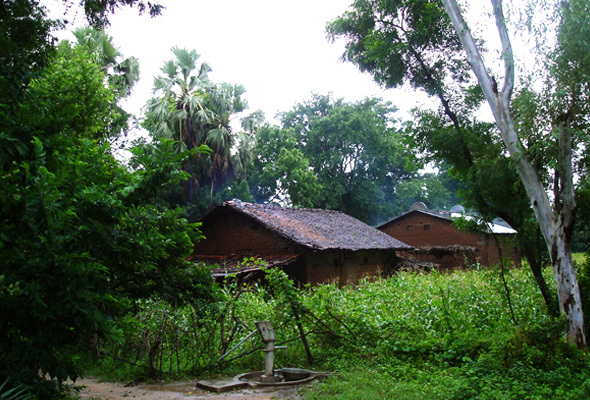 At other side of the village, ‘Kumhars‘ sculpt roof tiles. In summers, when they get sufficient sunlight to dry the tiles, they work seamlessly to makeup for the high demand of clay roof tiles to renovate roofs. The tiles normally cost between Rs 200-300 for 1000 pieces. The way of living across villages and cities has changed with time, incorporating influences from the geographical, cultural and religious patterns. This tradition of making sloping roofs by arranging baked clay tiles dates back to Neolithic era. 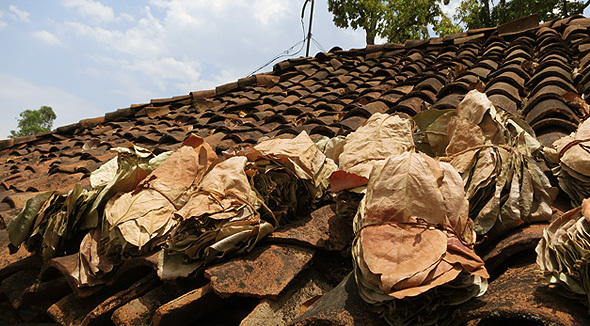 Today various forms of clay roofing tiles are prevalent throughout India. In India, houses are categorized on the basis of the building materials used. 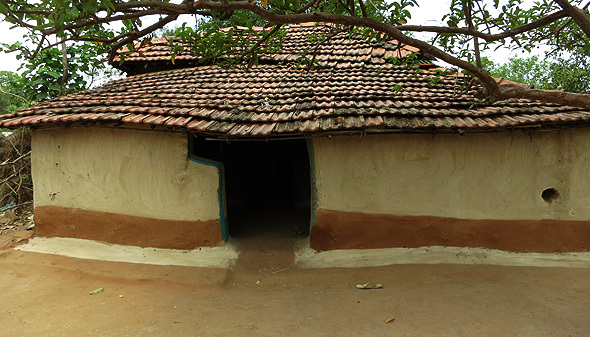 ‘Kachha’ houses are the ones which are not permanent, they are built with unbaked clay, hay, cow dung etc; while ‘Pakka’ houses are more resilient, taking into account various building materials such as baked clay bricks, clay tiles, stone etc. 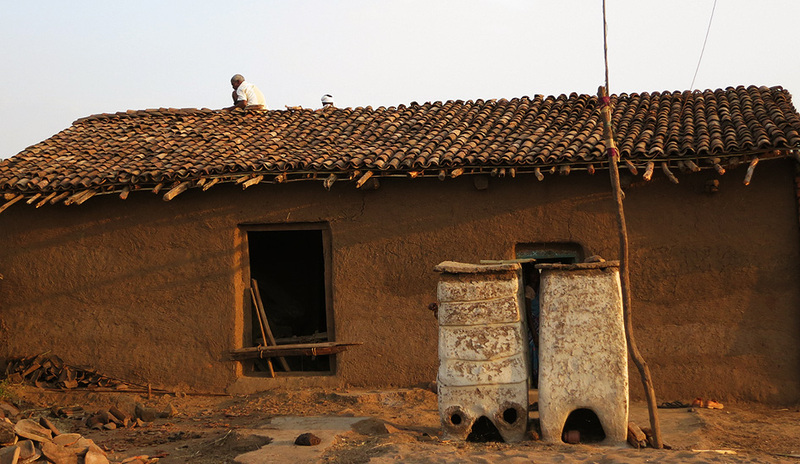 Hence, the houses using clay tiles for slant roof architecture are in fact ‘Pakka’ houses. Clay tiles involve a labor intensive process with naturally derived tools and raw materials. The basic process starts with the fabrication of wooden mould to make clay plates of uniform size and shapes. 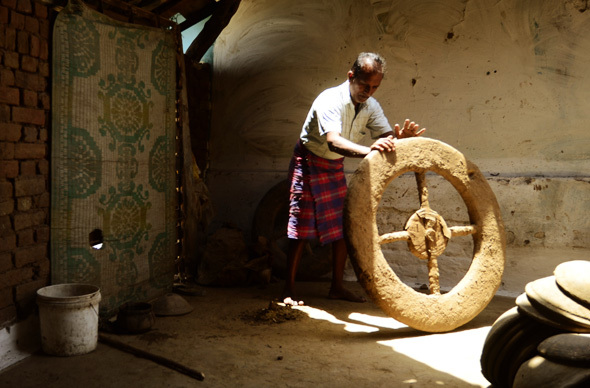 The craftsmen then move on to prepare the clay mixture with cow dung, hay and other binding materials. Then the mixture is pushed into the mould and a thread is used to separate the both. 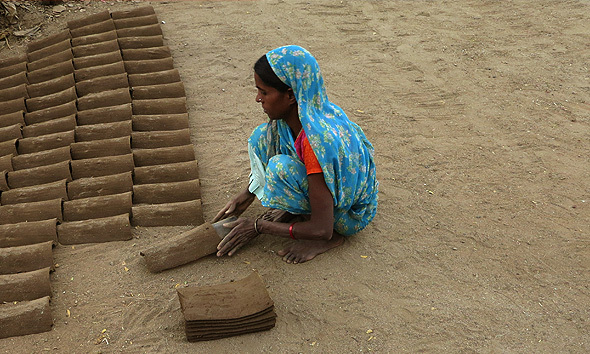 The sun-dried clay tiles are finally baked in the traditional mud kilns covered with fired clay pieces for insulation. These ancient crafts have evolved more for a functional need than to fulfill an aesthetic requirement. One realizes this while sitting under an immaculately composed roof, sipping through a warm cup of Chai, as rain sprinkles a green carpet on muddy grounds. When the sound of rain quenches all our cravings, the peacocks indulge in their splendid display of love, calling out for their mates.